NSWC, charged with overseeing the SEALs, is a component of U.S. Special Operations Command (SOCOM). Owen West, the assistant secretary of defense for special operations and low-intensity conflict, testified during a Senate Armed Services Committee hearing focused on SOCOM’s budget and activities. I’m proud to report to you that our special operations forces are neither overstretched nor breaking but very healthy, poised, and eager to defend the nation against increasingly adaptive foes. Despite this clear progress, General Thomas and I are concerned about serious ethical failings by some members of our SOF community. These incidents have our full attention. They are totally unacceptable and do not reflect the true nature of the SOF professional. Such incidents erode [the] morale of our force, confidence of our allies and partners, and the moral authority of American values. In other words, moral failings are not individual but can impact our large-scale mission. While these specific incidents are being addressed by appropriate disciplinary mechanisms, General Thomas and I are working to identify any potential systemic problems and to enhance policies that hold leaders and individuals accountable. Echoing recent comments by the top Navy SEAL commander, West told lawmakers he is reviewing “professionalism and ethics” within the special forces community. 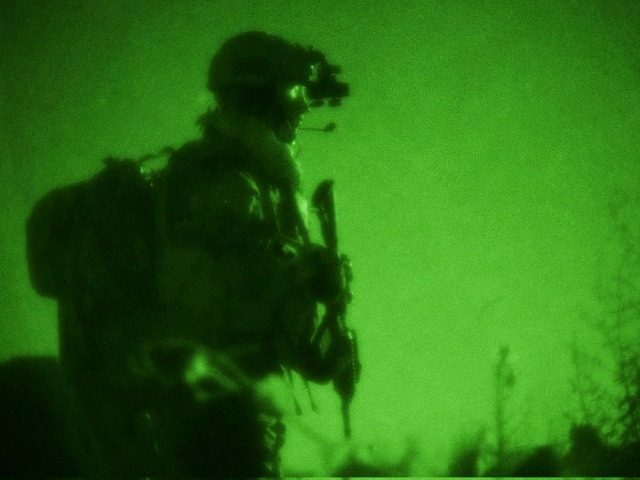 SOF is a mature and elite force, and it will be held to the highest standards – and those standards include professionalism, ethics, and accountability. My office is currently conducting a review of SOF professionalism and ethics, as required by [law]. … These incidents have our full attention. We also recognize that they do not reflect the true nature of the SOF professional. When I visit with our SOF service members at home and in the field, their selfless energy and devotion to mission are clearly evident, and they are exemplars of American values when deployed overseas. Our goal is that all of our special operations teammates operate in a culture that is mission-focused and undistracted by misconduct, harassment, or abuse. 99.9% of the USSOCOM teammates continue to serve with honor and distinction as our ethos demands. That is 0.1% short of our goal. We will not be complacent and will push forward our efforts to inculcate and reinforce our core values. Special operations forces, as a rule, cannot be mass produced, so taking a small number of them out of the fight [for misconduct or anything else] can have a deep impact on a community numbering in the thousands. Task & Purpose also noted that the U.S. military pink-slipped ten U.S. Navy SEALs from the service in recent months for testing positive for drugs last year and authorities are currently investigating and have charged others with murder. Citing the drug abuse and murder allegations on Wednesday during a discussion focused on restoring readiness and “[building] a more lethal force,” the news outlet took the top Navy SEAL to task over what he is doing to address the problems. Rear Adm. Green indicated that he commissioned a 90-day study on January 1 to look into “recruiting, selection, training, and leadership development in his command amid allegations of drug use, murder, and other ethical lapses within the SEAL community,” Task & Purpose reported. Task & Purpose learned that Green is expected to submit the results of the study to Gen. Thomas sometime in March. On Wednesday, the Navy Times also reported that the U.S. Department of Justice (DOJ) had charged other SEALs with allegedly abusing prisoners in Afghanistan and a judge sentenced another to nearly 30 years in prison for producing images of child sexual abuse. West acknowledged that the U.S. Special Operations Forces are having trouble attracting “top talent” and retaining “high-quality personnel,” a shortfall that he described as a “primary concern” affecting readiness. “While the challenges SOF face in this area generally mirror those of the Services overall, our challenges will likely be magnified given the necessary experience levels of our people and our generally lengthy training pipelines,” he explained.